James Murphy, once the guitarist of Death, Obituary, Testament, Disincarnate, etc., playing Chuck Schuldiner’s music surrounded by very special guests: that, in short, is the ‘Within The Mind’ project, coming out next months. It’s expected to be a worthy tribute to a milestone of the scene, by somebody who knew him well. Schuldiner’s family is probably right: there’s no one better than James Murphy to take care of a tribute to Chuck and Death’s music. 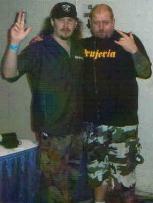 An outstanding persona of American death metal, not only did he share the stage with Chuck while in his band, but he had to face a serious health issue just when Chuck was fighting with cancer, eventually losing his battle. 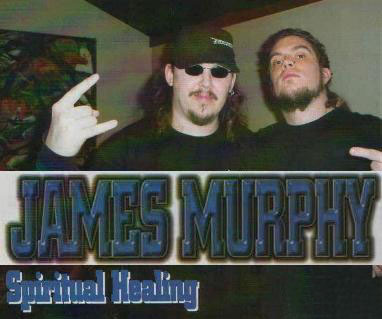 Two men on kind of parallel roads, leading them to play together in the same band (on the ‘Spiritual Healing’ album: a title that sounds a bit weird), but then they parted ways (not so amicably, it seems), until they got closer again in the hardest moments, as James tells us. So it’s no surprise he’ll work on ‘Within The Mind’, the official tribute to Death. Our interview starts from this to reach wider subjects: Chuck’s memory, James’s illness (a brain tumor which seems under control now), and future plans… but let him speak now. How did you choose the songs to put into the record? With such a discography, it wasn’t easy. Did you try to stick to the original ones or will there be changes in the arrangements or structures of the tunes? Isn’t it hard to keep all these musicians together in a single project? You said you’re not at 100% yet, how is your health now? How’s the rehab going on after the delicate surgical strike? About the tribute to Schuldiner, when do you think it will be ready? James, you played with Chuck for some time. What’s your memory of Schuldiner as a man and musician? Did they give you any suggestion or advise on how to go on with the project?